This is the best puzzle based introduction to the world map for pre-school kids. 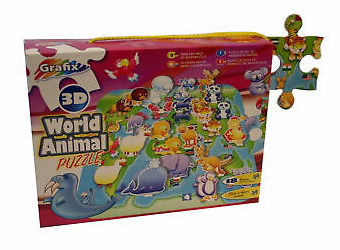 If your child has some interest in jigsaw puzzles, this 3D World Animal Puzzle from Grafix is a must have! This should be available in under £5. What's so great about this jigsaw puzzle? The jigsaw puzzle is actually a map of the world with pictures of animals on top of the continents (such as a Panda is visible where China is located and Kangaroo where Australia can be found). It's an interesting way of learning about the continents and the sea, and with a little help, the child will also learn about names of some big countries. For even better engagement, various cardboard pieces with animal pictures are provided, which can be stuck on top of the puzzle itself. Where should I buy the jigsaw puzzle from? 5 quid or less is a reasonable price. This should be available from this merchant on Amazon.co.uk and from this one on eBay.co.uk. You might also want to check Home Bargain and similar places for better deals. Would you like to know what's the best dental scaler out there? It's this under £5 DenTek Scaler which is today's must have! Why use a Dental Scaler? Because tartar is hard to remove otherwise. I never had any luck with toothpaste in this matter; they are simply ineffective for removing tartar. A scaler is the most effective way of removing both tartar and plaque. But why this one the best Dental Scaler? Dentek is a US based brand specialising in oral care. This undeniably affordable US surgical steel is very effective at removing tartar, plaque, food and drink stains from your teeth. It comes equipped with an anti-fot mirror, which make the overall deal even more attractive. Though meant for occasional use, this is even useful for removing food particles stuck in between. 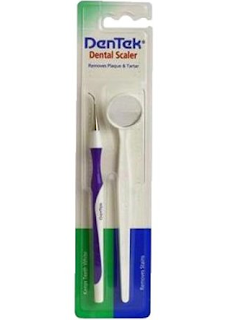 On Amazon UK, this scaler is rated as 4.5 out of 5 based on 77 ratings as of today. Amazon, of course. The current price is around £4.19; definitely a bargain! Living 16 Jar Revolving Spice Rack is the best highly usable, space-saving spice rack that you will find at a reasonable price. The product has high praise reviews on Argos. What so great about this spice rack? 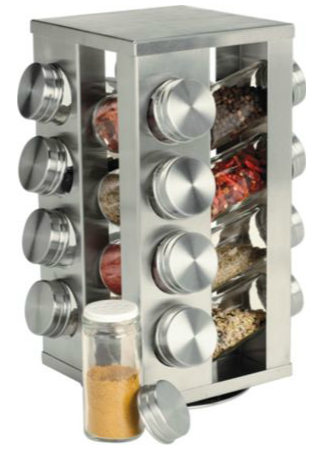 This rack comes with 16 glass jars; each with a stainless steel cap. The rack revolves; searching for the right spice is a matter of seconds. And it saves a lot of space too! This is very reasonably sized; the dimension from Argos are H27, W14, D14cm. Are there any bad points that I should be aware of? hm...When you use it for the first time, the jars don't slide very smoothly. But the problem goes away with the passage of time. A few days use should make this slide properly. Currently priced at £14.99, Argos seems to be the best deal. Here is the link the product. As with all Argos things, you can buy from your local Argos store, or reserve it online first, or book for home delivery. Below is a link to the same product as sold on Amazon.co.uk. Draper has excellent ratings for all their DIY products on Amazon.co.uk, and their household soft-grip scissors set is no different. This 5 scissors set, labelled Draper 75552 5-Piece Soft Grip Household Scissor Set, is a must for every home. What so great about this set of scissors? 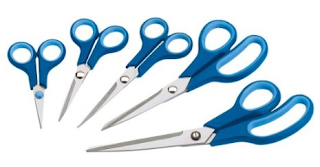 There are 5 scissors in various sizes as shown in the picture. The sizes, as marketed by Draper, are 125, 140, 170, 210 and 245 mm. Suitable for craft, kitchen, stationary and virtually fit for any cutting job. Are there any negatives that I should know of? Where should I buy these from? One again, from Amazon! Please see the latest price in the image below. The best thing is that the set is included in Amazon Prime! Evo Mone N Groove 3-wheel scooters are the best first scooters for your 3+ year old. Can you see what an intelligent design it is? What's so great about Move N Groove scooter? When kids are learning to ride a scooter, they need support to balance themselves. 3 wheelers are the natural thing that comes to mind. But most of the 3-wheel scooters available today have two rear wheels and one front wheel. With normal scooters, your kid's ankles will hit the wheels as he or she tries to push forward. This really hurts and your kid can easily give up the dream to ride a scooter at an early age. This doesn't need any complex assembly. You just push the handle in the base, and that's it. This is a really affordable scooter. See the recommended buying below. Minor good points include handles for easy grip. Removable handle for easy storage. Buy one and be proud of your purchase. Are there any bad points that I need to be aware of? This is a "lean and control" scooter. The handles don't turn left or right like a bike. This is not a disadvantage; it's pretty cool but gets a few days' practice to get used to. 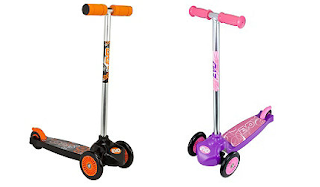 Where can I buy this scooter from? Either Tesco Direct or Amazon.com (preferable)! On Tesco, it's available for £20 in orange and black, and for £15 (from The Entertainers) in pink and purple. 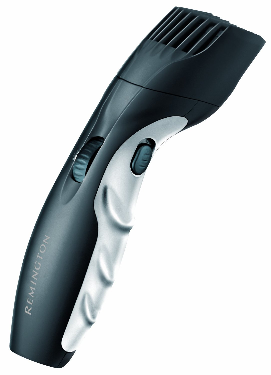 Remington MB320C is perhaps one of the best low cost beard trimmers out there. With a score of 4.4 out of 5 (from 844 reviewers) on Amazon.com, it's definitely something worth having---if you keep a beard, of course. What's so great about this beard trimmer? At £24.99 and free delivery with Amazon Prime, it's a great deal. The lube is for life, which means that you don't need to oil the blades, unlike many state-of-the-art trimmers. And if that's not enough, it comes with a 2 year warranty. Are there any known shortcomings? Well, firstly, the trimmer not very sturdy, but that's only important if you are used to fat, heavy shavers/ trimmers. Secondly, the adopter to charge this is a normal 3-pin charger, and not your typical shaver charger which can be plugged into shaver sockets typically found in the bathrooms. You'll have to charge it using a normal 3-pin socket. Where do I buy this trimmer from? Amazon.com, of course! However, if your prefer to buy your stuff from Tesco, this bread trimmer is also available from Tesco Direct. This gem of a digital scale has an accuracy of 0.1 gram. It's small and flat, and doesn't come with any bowl, which makes it fit for a wide variety of weighing purposes. It uses a CR2 battery, which is included in the Amazon.com offer for this. Who is this electronic scale for? Do you weigh envelopes that you post? Do you cook and need to weigh different ingredients? How about weighing fruits and vegetables, when you are on a diet? 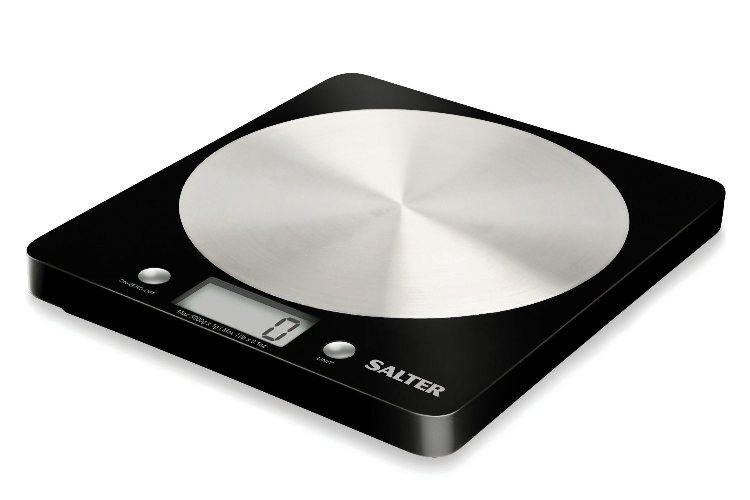 This is a reasonably accurate, good looking scale, which you must get. Where should I buy this electronic scale from? Amazon.com, of course! It's currently at £12.80 and included in the Amazon Prime!